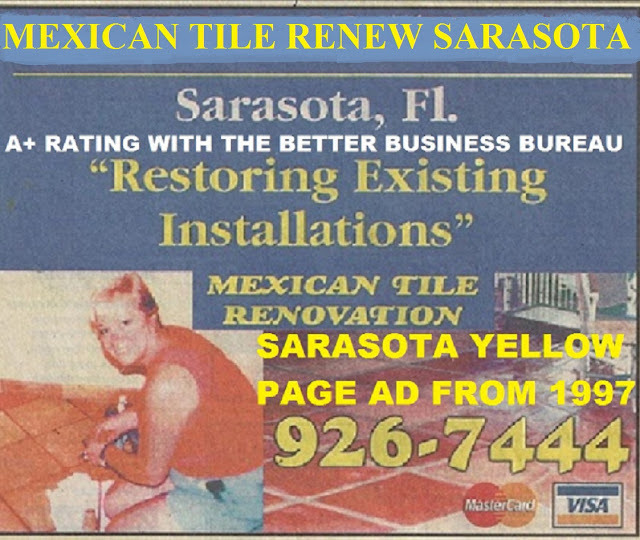 MEXICAN TILE RENEW PROJECT OFF OF McGREGOR BLVD IN FORT MYERS FL. Over the last 10 years we have done many, many Mexican Tile Renew projects in the Fort Myers area, mostly on streets off of McGregor Blvd. MEXICAN TILE RENEW PROJECT OFF OF McGREGOR BLVD IN FORT MYERS FL. Apparently in the late 1980' and in the 1990's Mexican Tile was very popular in South West Fl, most of our Mexican Tile Renew projects are located near the water, Gulf of Mexico, from St Pete to Fort Myers Fl. MEXICAN TILE RENEW PROJECT OFF OF McGREGOR BLVD IN FORT MYERS FL. Mexican tile floors upkeep, sweep often to remove loose sand and dirt, clean with soap and water. 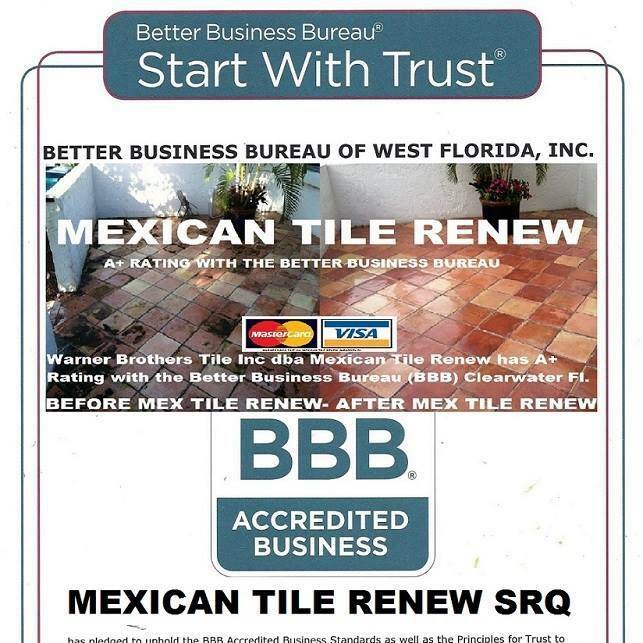 MEXICAN TILE RENEW PROJECT OFF OF McGREGOR BLVD IN FORT MYERS FL. Saltillo or Mexican tile is a relatively weak and highly absorbent tile. If not coated with a topical sealer it will wear from normal foot traffic and absorb anything spilled onto it right into the tile. A basic maintenance approach to cleaning Saltillo or Mexican tiles is a must. If the topical sealer is in good shape you will have no problem using a neutral cleaning product (Dawn dish soap), some light agitation and a rinsing process to keep the floor clean and well maintained. If you have a properly applied topical sealer on your Saltillo or Mexican tile, maintenance is very easy. If you have a foggy and worn out topical sealer, you are probably a good candidate for a strip and re-coat restoration job, call Vel at Mexican Tile Renew in Sarasota Fl 941-926-1926.